Through May 17 – The Fair at Heritage Park on Main Street in Simpsonville. Event will include concerts, including Craig Wayne Boyd of the Voice; a demolition derby; rides, and so much more. For more information call (864) 296-6601 or visit http://fairatheritagepark.com/. Through May 17 – “The Music Man” at the Chapman Cultural Center in Spartanburg. This is an award winning Broadway classic sure to entertain the entire family. For more information call (864) 542-2787 or visit http://www.chapmanculturalcenter.org/events.php?id=1413#sthash.F3bSyD6C.dpbs. Through May 21 – The Contemporary Art Jewelry Show in the Arts Center Gallery in Clemson. Come see how jewelry can be transformed into amazing works of art. For more information call (864) 633-5051 or visit http://explorearts.org/. May 15 – 16 – Mayfest Art of Living Festival in downtown Walhalla. Event includes a classic car show, Shaggin’ in the Park, lots of food and arts/craft vendors, and more. For more information call (864) 638-2727 or visit http://walhallamayfest.webs.com/. May 15 – “Boston – The Band” at Charter Amphitheater at Heritage Park in Simpsonville. For more information visit http://charterspectrumamphitheatre.com/events-tickets/event-listing/. May 16 – Tri-County Patriot Run at the Anderson Campus of Tri-County Technical College. This is a 5K race, a 1 mile fun run, and a 1 mile Warriors Walk for all wounded/disabled veterans. For more information call (864) 260-0705 or visit http://www.tctc.edu/Featured_Events/Tri-County_Patriot_Run_and_Freedom__Ride.xml. May 16 – Tri-County Freedom Ride at the Anderson Campus of Tri-County Technical College. This is a motorcycle Poker Run with stops highlighting veteran or active military themes. For more information call (864) 260-2705 or visit http://www.tctc.edu/Featured_Events/Tri-County_Patriot_Run_and_Freedom__Ride.xml. May 18 – Assault on Mt. Mitchell or Marion to begin in downtown Spartanburg. 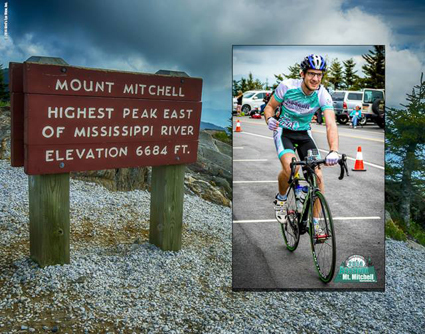 For a challenging bike ride begin in downtown Spartanburg and ride to Marion, North Carolina where you can either stop or take a break and continue on to the top of Mt. Mitchell. For more information visit http://freewheelers.info/assaults/. May 21 – “Giselle” International Ballet to be held at the Peace Center in Greenville. Based on a Slavic folk tale, this ballet was identified by The Kennedy Center as “One of the most romantic and visually striking works in the classical canon”. For more information visit http://www.peacecenter.org/events/detail/giselle. May 22 – 23 – Gallabrae: Greenville Scottish Games to be held at Furman University. This being the largest Scottish event in the State, the event will include a parade in downtown Greenville, a bagpipe challenge, Celtic jams, athletic competitions, with the highlight being a Scottish/American military tribute with eight active duty Scottish Highland Fusiliers from Scotland serving as the Honor Guard of the Games. For more information visit http://www.gallabrae.com/. May 23 – Take Flight 5K to begin at the Greenville Downtown Airport. Proceeds from the event will go toward completion of Runway Park at GMU. For more information call (864) 270-6660 or visit https://book-events.com/takeflight5k/. May 23 – Palmetto State Chili Cook-Off to be held at the Fountain Inn Chamber of Commerce. Event includes the best chili cooks from around the country and will include chili sampling, food vendors, arts and crafts, live music and entertainment for the kids. For more information call (864) 862-2586 or visit http://www.palmettostatechili.com/. May 25 – “Cheryl Crow” at the Peace Center in Greenville. For more information visit http://www.peacecenter.org/events/detail/sheryl-crow. May 28 – 30 – Plum Hollow Alternative Bluegrass Festival to be held at the Plum Hollow Farm near Spartanburg. Come hear some of the new alternatives to modern bluegrass that are coming of age to include rock and roll bluegrass, grunge grass, jazz grass, to name a few. For more information call (864) 680-0225 or (864) 680-2027 or visit http://www.moonshiners.com/festivals/plum-hollow-festival. May 29 – 31 – “L’Enfant Prodigue (The Prodigal Son)” to be held at Younts Center for Performing Arts in Fountain Inn. This award winning opera produced by Debussy, follows the Biblical story of “The Prodigal Son”. For more information call (864) 409-1050 or visit http://www.glowlyric.com/. May 30 – June 8 – Agatha Christies “The Mousetrap” at the Easley Foothills Playhouse in Easley. This murder mystery is one of the world’s longest running plays. For more information call (864) 855-1817 or visit http://www.fhplayhouse.com/. May 30 – Charity Auction to be held at the Annex of the Central Church of Christ in Spartanburg. Proceeds will benefit the Southeast Children’s Home. For more information call (864) 439-0259 or visit https://www.facebook.com/events/1474846082805318/. May 31 – Sneak and Snap Scavenger Hunt in downtown Greenville. This exciting and fun team event of 4 people (if you don’t have a team, they’ll help you get one) will include locating things on the scavenger list with 2 hours to locate as many as you can and capturing each on camera. For more information call (864) 608-9819 or visit http://lettherebemom.org/seek-n-snap/. May 31 – Taste of the Upstate to be held at the Embassy Suites Golf Resort and Conference Center. The theme is Masquerade in Venice so wear your finest masquerade ball attire with a mask and enjoy food prepared by Greenville’s finest chef and music performed by the Greenville Jazz Collection. For more information call (864) 232-3595 or visit http://www.loavesandfishesgreenville.com/Events/tou/. May 31 – WEE Live at Bon Secours Wellness Arena in Greenville. Come see the superstars in action! For more information visit https://bonsecoursarena.com/. 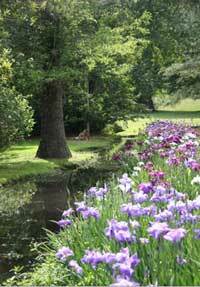 May 22 – 24 – Sumter Iris Festival at Swan Lake Iris Gardens in Sumter. Activities will include concerts, an arts and crafts show, a flower show, a quilt show, a car show, food and more. For more information call (803) 436-2500 or visit http://www.sumtersc.gov/iris-festival.aspx. May 23 – Savannah River Classic, a family friendly fishing tournament to be located at the Lower Savannah River Alliance on Burton’s Ferry Highway in Allendale. For more information call (803) 632-1487 or visit http://www.lowersavannahriveralliance.org/. May 23 – Aiken Jaycees Memorial Day Parade to be held in downtown Aiken. For more information call (803) 761-7081 or visit http://www.aikenjaycees.com/. May 25 – Memorial Day at Historic Brattonsville to be held at Historic Brattonsville in McConnells. Come experience this 778 acre site that houses over 30 colonial and antebellum structures, a Revolutionary War battlefield with an interpretive trail, a nature preserve with miles of trails, and heritage breed animals. The holiday will be honored with an 1870’s wreath laying ceremony with origins following the American Civil War. For more information call (803) 329-2121 or visit http://chmuseums.org/event/1809/. May 30 – Hiking Safety at Kings Mountain State Park in Blacksburg. Learn important things you should know before going on a hike, such as 10 essentials you should have with you, what to do before you leave, and what to do if you get lost, just to name a few. For more information call (803) 222-3209 or visit http://southcarolinaparks.com/kingsmountain/introduction.aspx. Through May 31 – Military Appreciation Days at multiple locations in Myrtle Beach. For more information call (843) 918-1014 or visit http://www.militaryappreciationdays.com/. Through May 17 – Spring Bike Rally at multiple location in the Myrtle Beach Grand Strand area. This is the Carolinas biggest spring biking event. For more information call (336) 643-1367 or visit http://www.myrtlebeachbikeweek.com/. May 15 – “Travis Tritt, Charlie Daniels Band, and The Outlaws” at the Myrtle Beach Speedway. For more information visit http://www.myrtlebeachspeedway.com/upcomingevents/travis-tritt-charlie-daniels-band-and-the-outlaws. May 15 – “David Allen Coe” at the House of Blues in Myrtle Beach. For more information visit http://www.houseofblues.com/myrtlebeach. two person team event. For more information call (800) 833-8798 or visit http://veteransclassicgolf.com/. May 21 – Charleston Challenge, a “gameshow gala” to be held at Harbourside East in Charleston. This event is a “gameshow gala” based on the gameshow 25,000 Pyramid and will include a Lowcountry themed buffet and refreshments. Proceeds go to “HALOS” which provides support and advocacy to abused and neglected children and kinship caregivers. For more information call (843) 953-9539 or visit http://www.charlestonhalos.org/events_detail/index.php?id=39+%2C+and+include+all+food+and+drinks. May 21 – 24 – Original Gullah Festival at the Henry C. Chambers Waterfront Park in Beaufort. Come learn about the historical significance of this African American Heritage. 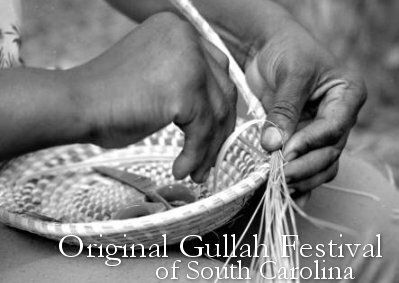 For more information call (843) 321-9288 or visit http://theoriginalgullahfestival.org/. May 22 – June 7 – Spoleto Fest USA to be held at various venues in the Charleston area. This fabulous annual event is filled with a vast variety of visual and performing arts. 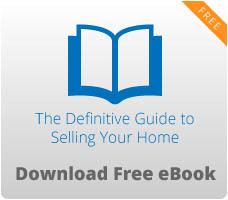 For more information visit http://spoletousa.org/. May 30 – Lean and Green 5K Run/Walk to be held at Brittlebank Park in Charleston. Strollers and dogs are welcome. Event also includes a “Tot Trot” and a silent auction. For more information visit http://www.greenandlean5k.com/. May 30 – Lowcountry Splash Open Water Swim to be held in Mt. Pleasant. The 5 mile swim will begin at the Daniel Island Pier and the 2.4 mile swim will begin at the Hobcaw Yacht Club, with both races finishing at Patriots Point Naval and Maritime Center. For more information call (843) 884-7880 or visit http://www.lowcountrysplash.com/race-info/. May 30 – Battle of the Palmetto Corn Hold Tournament to be held at DIG in the Park in North Charleston. For more information visit http://battleofthepalmetto.com/. May 30 – 31 – Salt Games to be held in downtown Myrtle Beach. Individuals can participate or observe a variety of events that include a hotdog eating contest, a bikini contest, beach volleyball, surfing, yoga, CrossFit, paddleboard, even a lifeguard event. For more information call (843) 448-0585 or visit http://www.thesaltgames.com/.